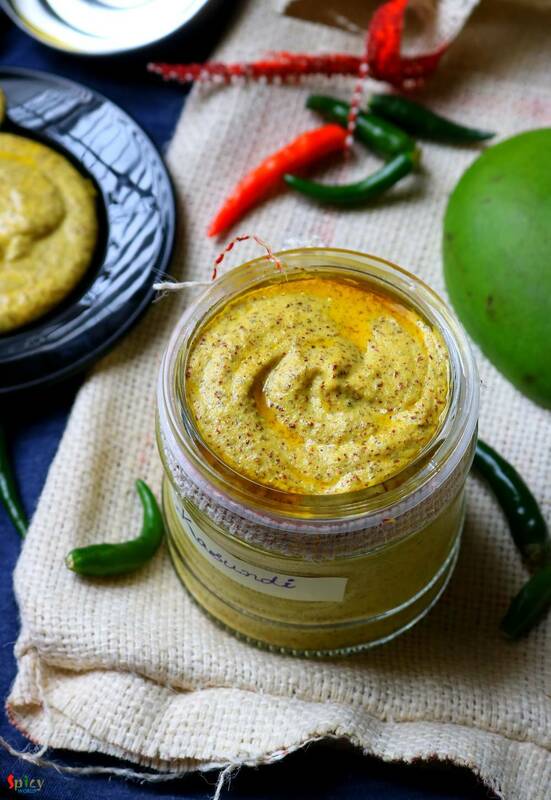 Aam Kasundi is a fire free recipe. You don't need to cook anything here. To make Bengali Aam Kasundi all you have to do is to blend everything in a blender and then for 2-3 days keep it under sunlight, after that in fridge. 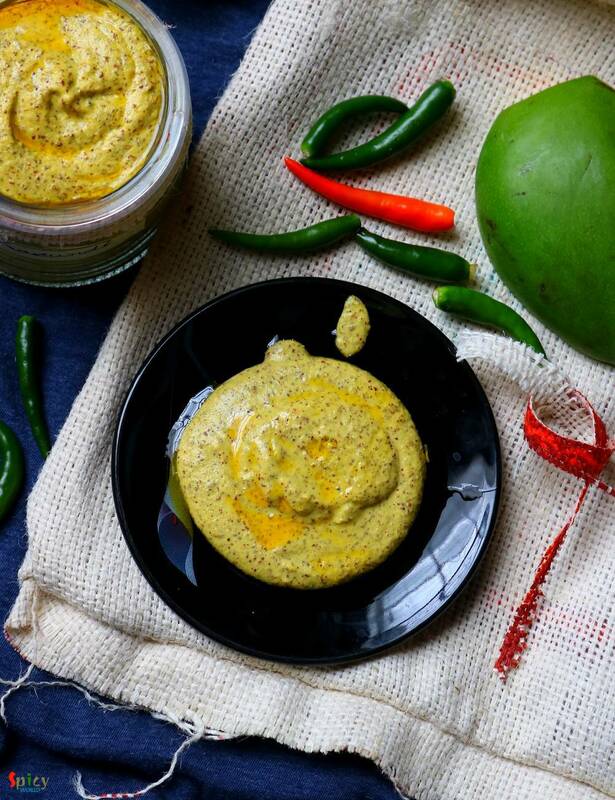 You can enjoy this preservative free Aam Kasundi all through the year. 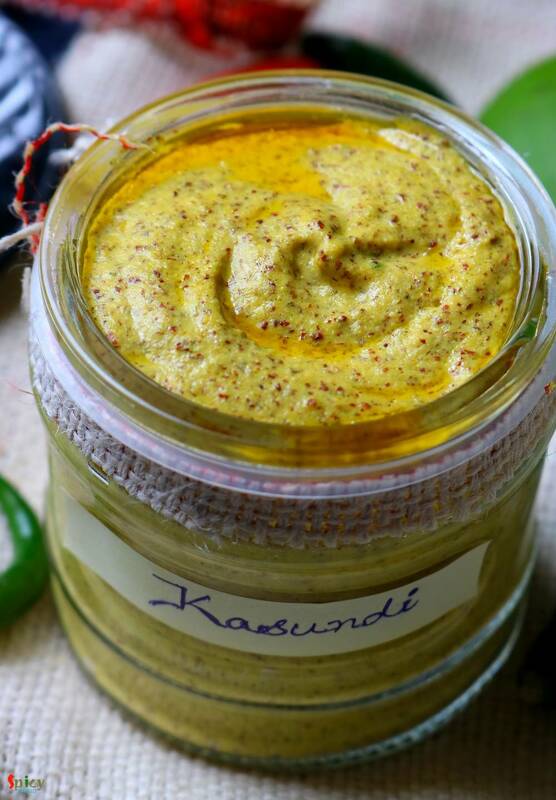 The aroma and taste of homemade Kasundi is phenomenal like any other Chutneys. I kept the recipe very simple and easy. You can not only serve this with deep fried food like Fish fry, Fish finger, Egg devil, all kinds of Pakora but also use it in Fish curry, Prawn curry or even Chicken recipes. During summer, Aam Kasundi is a must have and it uplifts the taste of so many simple things like 'saak bhaja' / stir fried greens. Try this in your kitchen and let me know how it turned out for you. 2-3 medium sized green mangoes. 50 grams of black mustard seeds. 50 grams of yellow mustard seeds. 1 Tablespoons of turmeric powder. 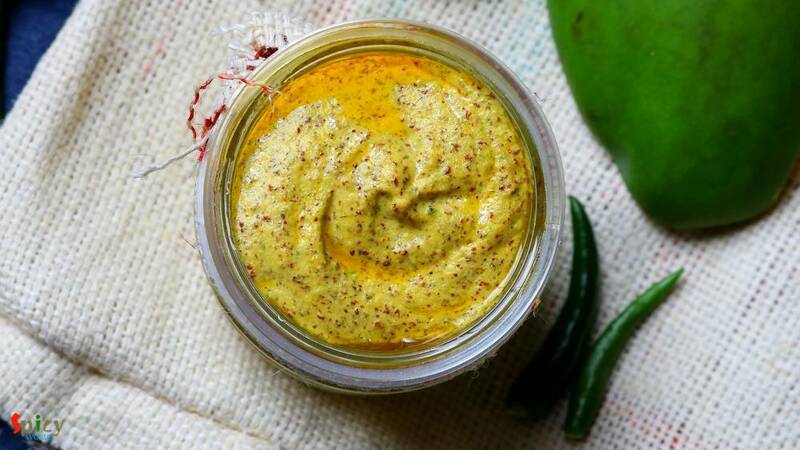 Add all the ingredients in a blender along with ginger, garlic, green chilies, salt, sugar and turmeric powder. With very little water blend them to a smooth paste. Drizzle more mustard oil over the Kasundi. Pour it in a container and then keep it under sunlight for 2-3 days. Keep it in fridge for further use. It will stay good for 6-7 months. Your Aam Kasundi is ready to serve.